In 1998 the co-owners of Healthworks Fitness Centers for Women established the Healthworks Foundation, renamed Healthworks Community Fitness. 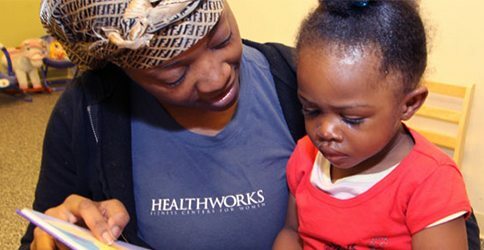 Healthworks Community Fitness is a registered 501(c)(3) non-profit organization, dedicated to promoting the health and empowerment of women and children from all economic backgrounds. To demonstrate our commitment, Healthworks Fitness Centers donates a significant portion of its profits to the organization each year, which operates two full-service non-profit fitness centers in Dorchester, MA. 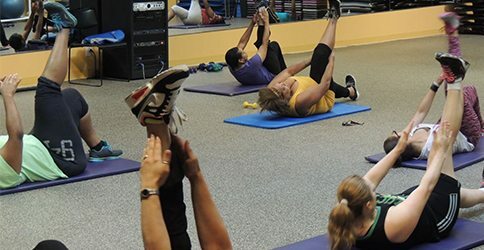 Working directly with community-based health resources to expand the scope of care for its patients, Healthworks Community Fitness aims to operate thriving community fitness centers that provide the highest quality holistic nutrition, fitness, and well-being services. Healthworks at St. Mary’s, which opened in 2002, is a 3,500 square foot facility serving homeless and low-income women, as well as pregnant and parenting teenagers. 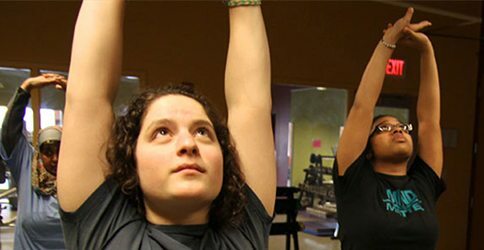 This center provides a safe source of respite and empowerment for women who wouldn’t otherwise have access to fitness opportunities and health support. Volunteers have been integral to the center’s operations and programs, and continue to offer their support. Healthworks at Codman, opened in 2009, is a fully equipped, 9,000 square foot facility. It was established through a partnership with the renowned Codman Square Health Center. It includes a 1,800 square foot “Youth Fitness Zone” for children, and will soon offer a teaching kitchen so that members can learn how to cook health conscious meals. 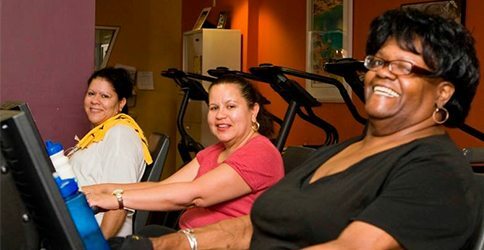 In addition to offering need-based discounted memberships, Healthworks at Codman currently accepts medical referrals from the Codman Square Health Center, the Dorchester House Multi-Service Center, and other medical institutions, and provides free memberships to patients prescribed exercise to treat chronic diseases including type-2 diabetes, hypertension, mood disorders, and obesity. 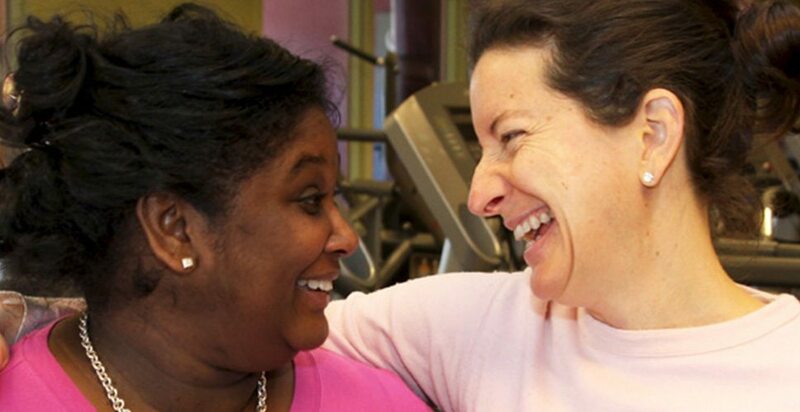 With diverse support from the greater community, Healthworks Community Fitness Center staff will continue its mission to foster fitter, healthier, well-educated, and empowered communities. The organization welcomes volunteers and contributors of all kinds and looks forward to hearing from you. For more information, and to learn how you can help, please visit HealthworksCommunityFitness.org. health and wellness in our community. Raising money for a worthy cause? Healthworks can help! Host a fundraiser or celebrate a special occasion like a bachelorette, birthday, or bridal shower! Invite your friends to join you in a memorable celebration or fundraiser they won’t forget. Are you a small businesses looking to sell your products locally? Healthworks is looking for small business to showcase their products and services at the club. – Cross-promote Healthworks Fitness on their social media platforms. Contact [email protected] to learn more. Each summer we hold free Zumba classes at the Hatch Shell in partnership with The Esplanade Association. The energy and enthusiasm of the crowd is absolutely incredible. Community Self Defense Find your courage during with annual Community Self Defense Workshop for Women. Do you have a success story of weight loss, endurance, strength, or personal growth that you want to share with the Healthworks community? Share your journey with us for your chance to become the next Healthworks Fit Girl. To apply, send your story and a before and after picture (or a photo you feel best represents your fitness journey if the before/after concept does not apply) to [email protected]. Each Fit Girl of the month will be featured in a monthly email to members and receive one month dues for FREE and other great prizes! Submissions are accepted at any time, and the chosen Fit Girls will be announced each month. We, as the Healthworks community, are aware of our responsibility to the environment and we have recognized opportunities to improve upon our business practices to fulfill this responsibility. Our Healthworks Greener program has been focused on minimizing our impact on the physical environment through greener actions in our clubs since 2007. We have a responsibility to our members and greater community to make positive environmental choices whenever possible. This initiative includes reducing waste, conserving energy, using eco-friendly products, and continuously educating our staff and members on ways to become environmentally conscious advocates.